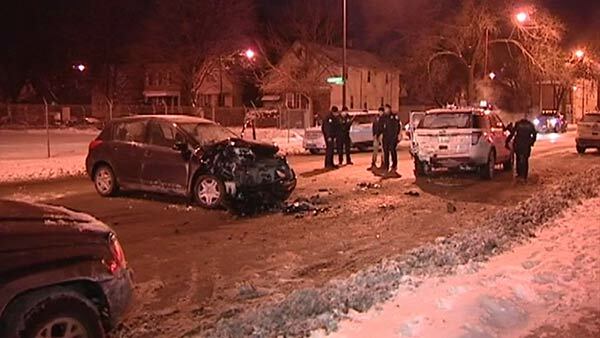 CHICAGO (WLS) -- A 34-year-old woman has been charged after she allegedly plowed into two squad cars in the city's South Side, sending an officer to the hospital, police said. Sharon Pannell, of Chicago, was charged with misdemeanor driving under the influence of alcohol, as well as one count of reckless driving and other traffic citations. Police say the officers were parked near 107th and Wabash early Saturday morning after responding to a disturbance when the incident occurred. Pannell, who was allegedly speeding along 107th, rear-ended a squad car, which was pushed into the second police car, police said. One officer and the suspect had minor injuries.